Ford’s attempt to marginalize the ST nameplate continues with the all new Explorer ST, revealed today in lieu of the Detroit Auto Show. The Explorer ST was hinted at months before, and as they actually revealed the 2020 Explorer just a couple of days ago, it was only a matter of time before the ST was revealed as well. 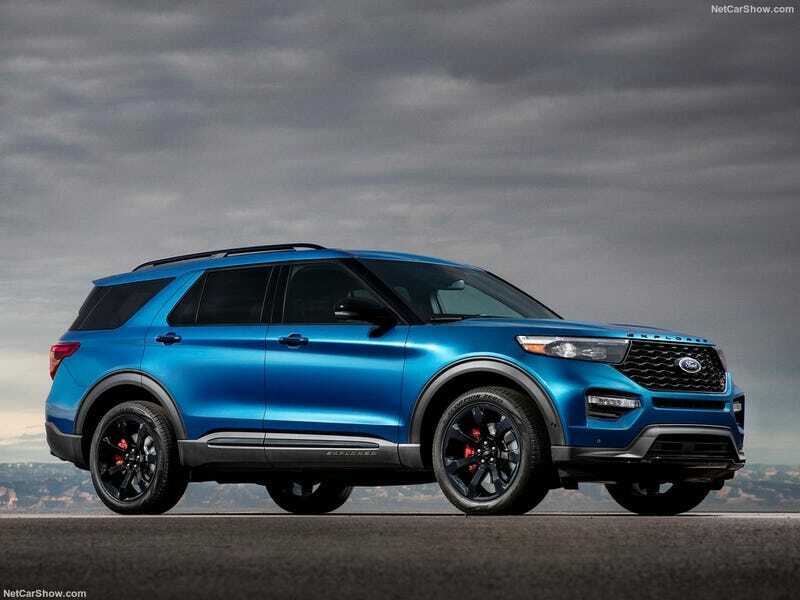 According to Ford, the Explorer ST will utilize a specially tuned version of Ford’s 3-liter Ecoboost V6, pushing 400 bhp to all four wheels and 415 lb ft of torque to boot. Estimated top speeds push 143 mph, delivered through Ford’s flawless 10-speed automatic found in the new Mustang GT. The ST stands out from the Explorer lineup with the addition of blacked out accents, from the grille to the Explorer badging on the hood, as well as blacked out exclusive wheels and red brake calipers. It will be offered in two packages: ST Street and ST Track. The ST comes standard with Ford’s Class III trailer/towing package as well, for those who want to tow your Mustang to the track. Ford pulled out all the stops to make the interior as sporty as it is luxurious, with uniquely trimmed leather sport buckets with most base Explorer options as standard. Driving styles are delivered through a small dial in the center console for more feedback when taking tighter corners and achieving higher speeds. The Explorer ST is undoubtedly an interesting concept in expanding the ST brand, and it’ll be hard to say whether or not it’ll pay off. It definitely seems like a more interesting overall package than the much-maligned Edge ST (which I rather like, mind you), so I hope it finds its market.